The wife and I recently took a vacation—for those of you who need a refresher, a vacation is that thing where you take days off work and leave for someplace restful, or possibly someplace offering adventure. Preferably a remote location where you are impossible to reach, and it would be plausible that you fell victim to a shark attack or local coup, thereby allowing you to fake your death and establish a new identity somewhere Citibank can never find you. But I digress. 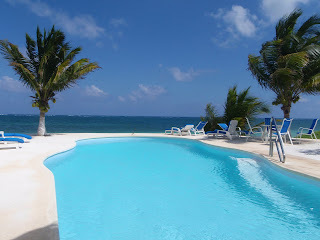 We spent our vacation of ten days in Puerto Morelos, a little fishing village outside of Cancun. To sum up the trip in one word: AWESOME. There was snorkeling, food, tequila, sun, coconut palms, and general feelings of contentment. When we told people we were going to Mexico for vacation, most of the responses went something like this “ohhh, that's dangerous” and “be careful!” —of course, considering that we live in Oakland, I found their reactions kind of funny. As expected, Puerto Morelos was not the kind of place you have to worry about losing your head or fingers, or getting kidnapped and winding up in a ditch, although you may fall prey to sunburn or jellyfish stings. Puerto Morelos is not gangsta, don't worry kids. Just bring plenty of Pepto and suncreen and you'll be okay. 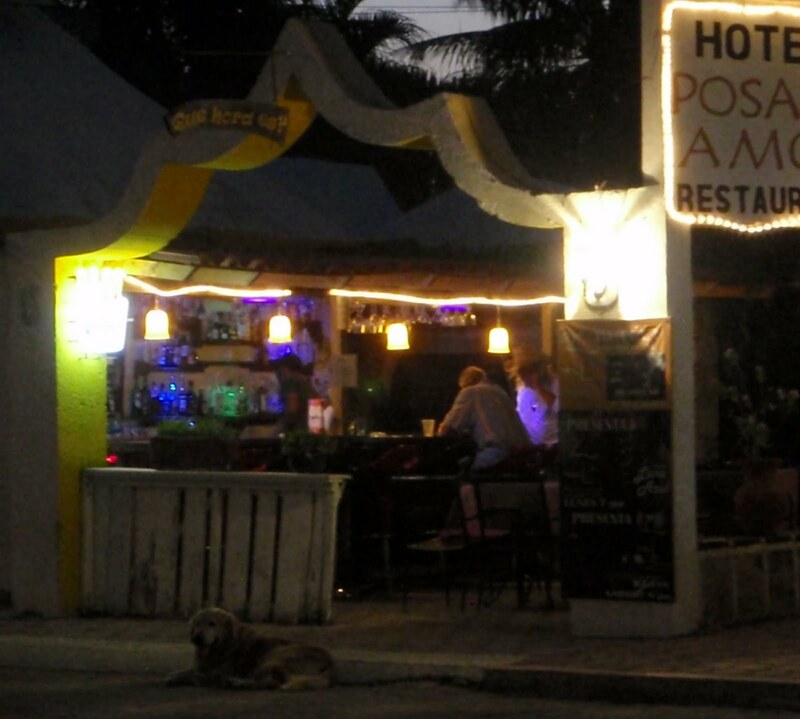 First thing you should know if you're going to visit...Puerto Morelos is an expat town. Aside from the fishermen, snorkel guides, and some of the shop workers, everyone there is from somewhere else. Argentina, Uruguay, France, Germany, Spain, Canada. So if you were expecting a parade of tacos and horchata, think again! Most of the restaurants in the square have pasta or pizza on the menu. If you're looking for Mexican cuisine, you still have a good number of options, but they aren't as numerous as one would expect. 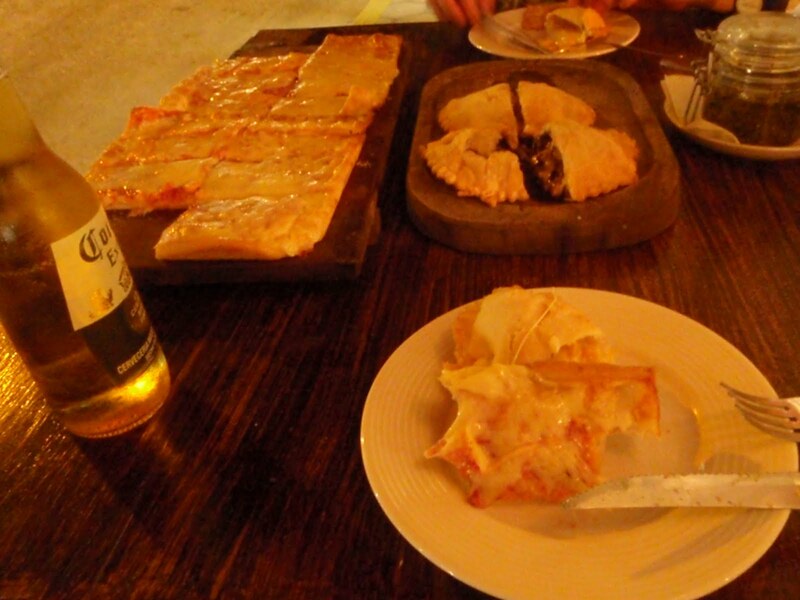 If you get the chance to eat out at only one place in the square, this Uruguayan restaurant should be your place. We ended up here on our first night exhausted from flying and having pulled an all-nighter. Blood sugar was low, but we lucked out when we finally just picked a spot at random. Not as touristy as some of the other spots, they have amazing empanadas and grilled meats, as well as very tasty pizzas cooked in their woodfire oven. Grilled meats come with a bed of fresh salad. They also have an amazing housemade hot sauce that is great on...well, everything. I think we ate there 4 times in the 10 days of our visit. I wish I could go there right now! Be advised it's a popular place on weekend nights, but they stay open late. When it gets busy, they pull tables out onto the street. They also serve beer and wine. Right across the street from Al Chimichurri, they're a hotel restaurant with a confusing menu. The food was good, but we almost didn’t stop because the menu looked like it was geared more to tourists. We had the chicken mole—very different than anything I've had. It was on the sweeter side and maybe had tamarind in it. It was tasty, and I ate every bit, but maybe not everyone's cup of tea. The fried chicken tacos... or, I should say... fried, chicken tacos were yummy. They served us chips and pico de gallo while we waited for our food. 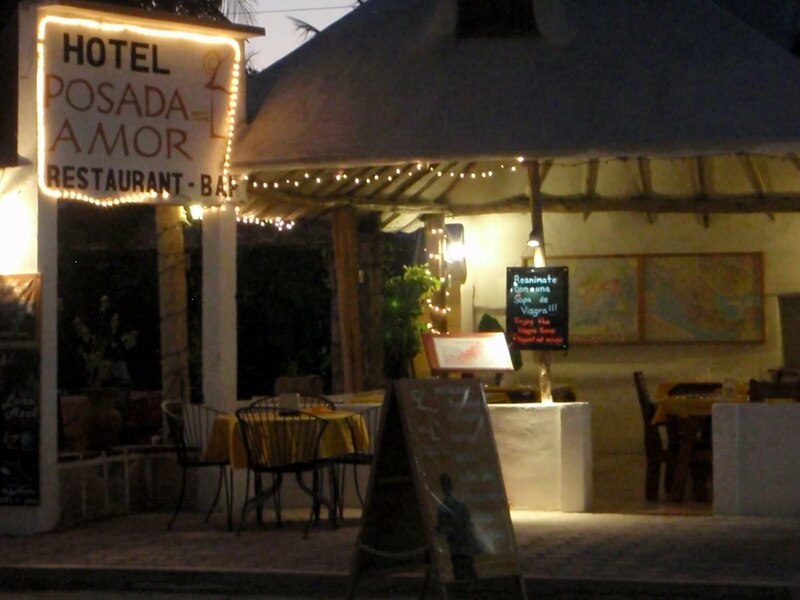 Also, they have margaritas and daily fish specials (it is a fishing village after all). Best thing: we were looking for snack food to munch on back at our rental house, and our server (also the barman next door) hooked us up with to-go chips, salsa, and guacamole. The bar next to Posada Amor translates to “what time is it?” and I believe it's a separate business with some overlap in owners. It's a fun place to grab a drink or three before heading home and passing out. We drank our share of Cuba Libres—and drank them out of their Havana Club rum on the first night, I'm afraid. Local expat crowd, nice fellows albeit a bit odd. We speculated a few might be ex-cons (bank heist circa 1980) and one once-famous rock drummer hiding from alimony payments. Extra bonus points for having geckos hanging out on the roof and walls. You'll want to chat with Manuel, one of the bartenders there who also works at the restaurtant and hotel next door. He's almost an expat himself; a fellow from North Mexico who took off to Ireland for six years and now sounds more Irish than Mexican. He's got plenty of interesting stories, and he also makes a mean Margarita. 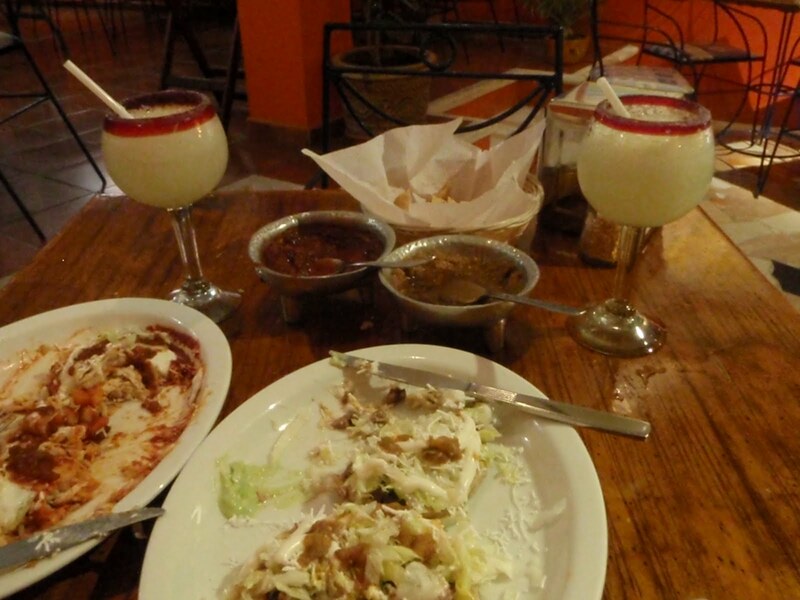 We got this recommendation for Mexican cuisine from a local who did not steer us wrong. Tasty breakfast and dinner, very friendly service (they're clearly family owned and operated), and damn good mar garitas. Maybe a little too good. They have a special that I suspect they run pretty much all the time, 2 margaritas, chips and guacamole, for 100 pesos. In dollars, it's less than 10 bucks, and compared to SF/Bay Area prices, that's like, FREE. Seriously. Major culinary highlights: enchiladas, chile rellenos, and sopes!!! For breakfast the huevos rancheros, and if you've never tried chiliquiles, you should. Eggs over what can best be described as “soft” tortilla chips. The salsa verde also may contain some sort of addictive substance. I highly recommend that and any other green sauce they have. 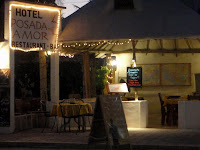 They’re also located right on the square (next to the bookstore Alma Libre,) so it’s a great spot for people watching. 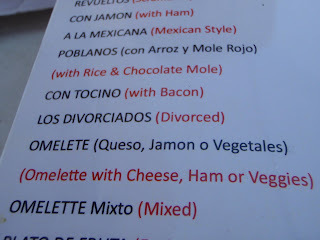 the breakfast menu at DT's--what in the heck are "divorced eggs"?